We all know intuitively that people who eat three to four servings of green vegetables per day tend to stay more healthy. It almost doesn't matter what else they do – a healthy diet tends towards a healthy life. Everyone in the nutrition field, has raved and preached of the power of greenfoods. They are rich in magnesium, chlorophyll, fiber, vitamins, and yes essential fats (those omegas). They are the most powerful healing foods on earth. The one most powerful one of all is Chlorella! You might not know that Chlorella is a single-celled algae originally produced as a source of protein for populations that could not afford animal protein foods. Yet chlorella offers more than just protein. Miraculous stories have surfaced of people getting noticeable improvement in health and well-being when consuming chlorella. When you realize that chlorella contains carotenoids, magnesium, and the super detoxifier chlorophyll – the health benefits of which have been well documented – we begin to understand chlorella's true power. Americans are chronically low in magnesium and in great need of detoxifying. Chlorella may be the perfect antidote to our refined foods, nutrient-poor diets and toxic environment. Chlorophyll is a remarkably protective and cleansing compound. It has been reported to inhibit cancer in all human organs. Chlorophyll is regularly used as part of regular supplementation, detoxification and health-building programs. The National Cancer Institute has even begun to take notice of its ability to prevent cancer. 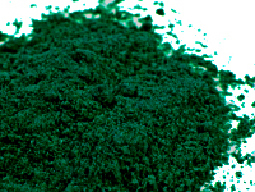 Chlorella contains a range of carotenoids that is superior merely to taking a supplement such as synthetic beta carotene. When you take a supplement that contains beta carotene, and it does not specify that it is derived from algae such as chlorella or d. salina, then you are only getting some of the benefits of carotenoids. There are many carotenoids – well over 600 – and using chlorella as your source of carotenoids gives you much more benefit. While beta carotene has protective power, chlorella has and does much more. Carotenoids protect against heart disease. Cholesterol cannot clog arteries until it oxidizes, and many studies have shown carotenoids can prevent this dangerous reaction from occurring. Although vitamin C appears to be the first line of defense in protecting cholesterol from going bad, carotenoids are also very important. A study of 333 patients showed that taking a carotenoid supplement reduced major cardiovascular events by half. Chlorella is also a rich source of the remarkable mineral magnesium. Magnesium performs no less than 300 different tasks in the body. It is essential for heart function, immune function, blood pressure regulation, blood sugar balance, stroke prevention, and for both muscle strength and muscle relaxation. It is critical for energy production. It promotes mental health, relieves PMS, and reduces asthma attacks. No cell in the body can function without this mineral. According to the USDA, 80 percent of Americans fail to get enough magnesium. Refined white flour contains only 20 percent of its original magnesium content. Sugar, sodas and junk foods, which make up a large part of the American diet, contain virtually none. Our crops are grown in soils with increasingly lower levels of magnesium. On top of this, our toxic environment depletes us of it. The great American magnesium shortage may be one of the main causes of our epidemic of heart disease. Magnesium is extraordinarily important for heart health. Magnesium also helps mitral valve prolapse, fibromyalgia, and fatigue. Emotional or physical stress depletes magnesium. Magnesium also significantly enhances muscle growth that occurs in response to sustained weight lifting programs. It also plays an important role in bone health. In some studies, magnesium intake was a stronger predictor of bone density than calcium intake. Chlorella gives you all the benefit of magnesium, carotenoids, chlorophyll and more. Studies have shown that people with high cholesterol levels who were put on 5 grams per day of chlorella for three months saw their cholesterol levels decline significantly. There were no side effects, unlike cholesterol medications, which can actually shorten life span, according to recent studies. Cholesterol medications have been found to cause impotence in men–another reason to use natural alternatives like chlorella. Chlorella is also an immune booster. 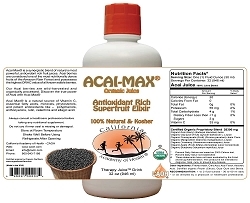 It contains a compound known as chlorellan that stimulates the body to make more interferon. Chlorella helps protector cells, called macrophages, function more effectively. Strict vegetarians often rely on seaweeds and algae such as chlorella to supplement their need of Vitamin B. In addition, chlorella has been used to help heal issues with the GI tract. Ulcers, colitis, Crohn's disease and diverticulosis all seem to do better when chlorella is part of the diet. Chlorella has also been found to stimulate the growth of beneficial bacteria which are essential for intestinal health. The point here is that chorella should be an important factor in your family's supplementation and diet. 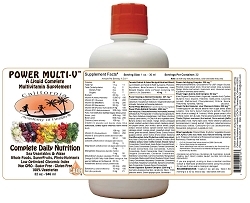 Chorella is also an important part of our popular comprehensive liquid multi nutrient Power Multi-V™ which should be part of your daily nutrition routine. 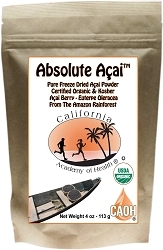 ← Why is Acai being touted as a weight reduction product if it isn’t?